Art With Mr. E: Sunday Devotional With Mr.E: DEAL WITH IT! Artists encounter many struggles that are unique to their profession/skill set. Some of these are great, and some are small. What to create, how to create, how much to create, how much to charge, where to show, how to display, and how to respond to critics are just a some of the issues they face daily. The answers impact everything as they move forward in their career. Creatives are often depicted as carefree, strong willed, and lacking concern for how others view them & their work. However, this is most often far from the truth. Rejection, misunderstanding, misinterpretation, harsh criticism, and apathetic responses crush the artist's spirit. They wrestle greatly with these things because it is not just their "work", but a part of themselves. How they deal with it will determine their ability to move forward. The righteous cry out, and the Lord hears them; he delivers them from all their troubles. The Lord is close to the brokenhearted and saves those who are crushed in spirit. The righteous person may have many troubles, but the Lord delivers him from them all. We are faced with trials/struggles of many kinds. Some are great, and some are small. How we respond will determine our ability to move forward in our lives. While some seem crushed by "minor" problems, others seem unphased when "major" issues come their way. We all have different thresholds of dealing with such things. Often people will say..." DEAL WITH IT! " Though this may seem like sound advise...it leaves out something extremely important. HOW!? 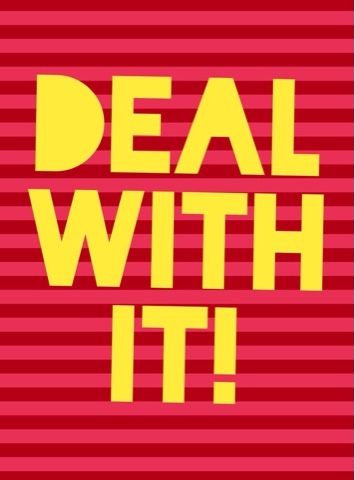 As believers, we have the ability to "DEAL WITH IT!" through the power of the Lord. We are not doing life on our own. Our God knows when we struggle. He knows when our hearts are broken & seemingly hopeless. He knows when trouble seems to be pressing in from every side. In Psalm 34: 17-19, we are told that the Lord delivers the righteous. Though I'm extremely thankful for this...there is another part of the verse that means a great deal to me. "...the Lord hears them..." So often we cry out in our struggles....we cry out in our pain...we cry out in our hopelessness. In the midst of our cry we ask ourselves....DOES HE EVEN HEAR ME? DOES HE KNOW I'M HURTING? DOES HE KNOW I'M AFRAID? DOES HE EVEN CARE? Take comfort in knowing that our God hears your cry!